Again, one of the earlier letters I wrote to DC. 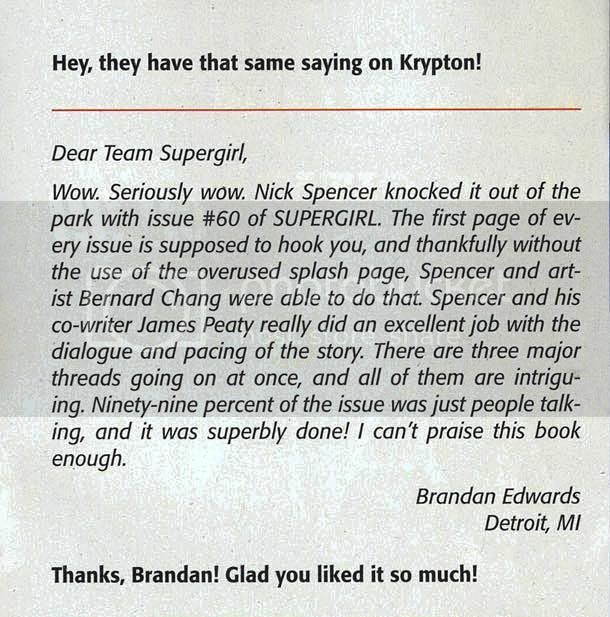 A bit of a sad note because soon after I sent this letter, DC changed the creative team I had just praised. Spencer's now Marvel exclusive, and Peaty will be off the book once this arc is complete. Good you are praising their work and also you are watching post.